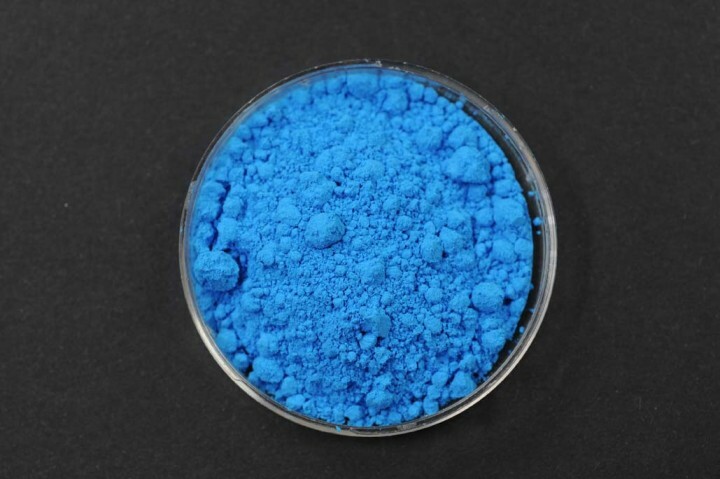 Studio Pigment Sky Blue | Studio Pigments | Pigments of Modern Age | Pigments | Kremer Pigments Inc.
An economical way to buy pigment colors, Studio Pigments are based on synthetic organic pigments mixed with a filler (may contain silica). The pigment is ground dry under stone rollers with marble dust / china clay to form a soft powder. They are easily dispersed, especially into waterborne paints. Studio Pigments are bright and relatively lightfast. Chemical description Pigment Blue 15 (C.I. 74160; CAS 147-14-8) fixed on a mineral base (CAS 471-34-1). Customer evaluation for "Studio Pigment Sky Blue"